The restaurant actually rotates slowly while you eat and so your panoramic view is a full 360 degrees. The river in the background is the Ohio River which eventually flows into the Mississippi River. 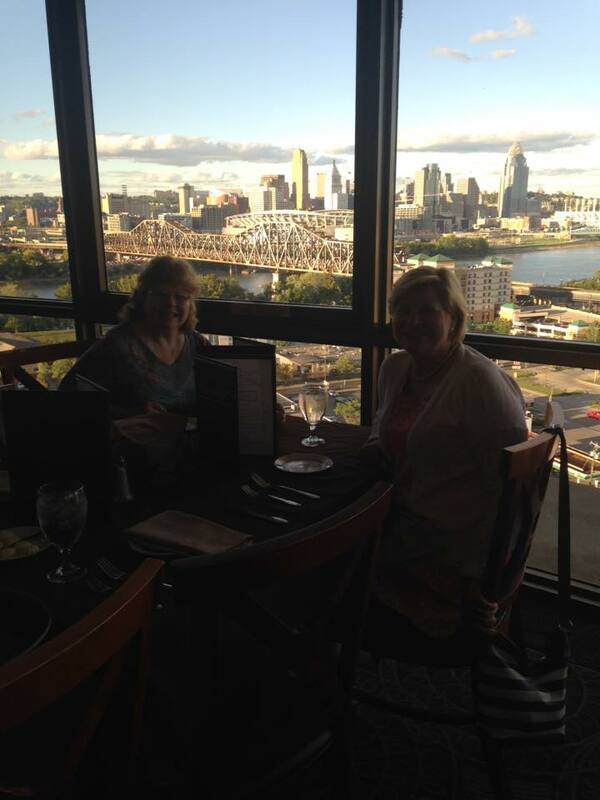 The tall buildings in the background are in downtown Cincinnati and our hotel is located in Covington, Kentucky. The Ohio River separates the states of Ohio and Kentucky in this area. SO much fun to spend the evening with you and Laura. 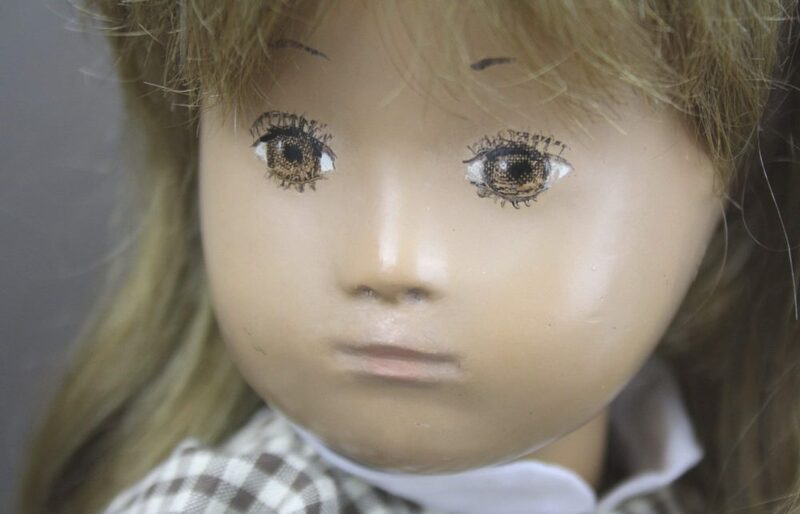 sounds like the doll show was worth the trip. We have to do this again soon! LOL! I managed to skate from the photos this time 😉 I just love these mini trips we make and the fun we have talking and staring at our dolls. Always a great time. That restaurant was excellent!! Can’t wait for the next one! I just LOVE these mini gatherings with Sasha friends…..and especially if there is an opportunity to have a little (well, rather a big one, in your case here!) Sasha spend involved! Fab. new Gregor although he made me sad as he was so similar with his eye painting as my recently and very regettfully sold on one. Super pram too. Bet that the girls will be fighting as to who gets tthe first push. Sounds like you had a wonderful time Ginger, and how fabulous to also meet up with some dear friends. That pram looks to be in amazing condition, what a great find that was, and as for the boy…what can I say? You know how much I love the boys and he is extra special with those wonderful eyes, what a treasure! A lovely looking new boy Ginger, I do so love the 68’s and also the petite dolls! Sounds like a great find 🙂 His eyes are fab and he looks so sweet :)The little Doucet pram is in beautiful condition and a lovely find. Looks like you had a lovely time dear Ginger and that is one very handsome Gregor you’ve adopted there! Love those eyes, never seen those before, they’re very pretty. 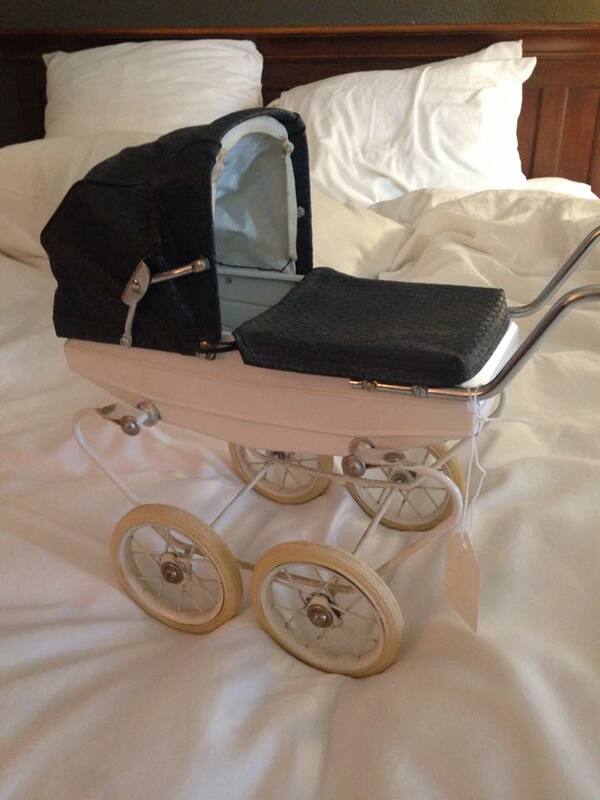 And a great pram too…your girls are going to be delighted with that I’m sure! 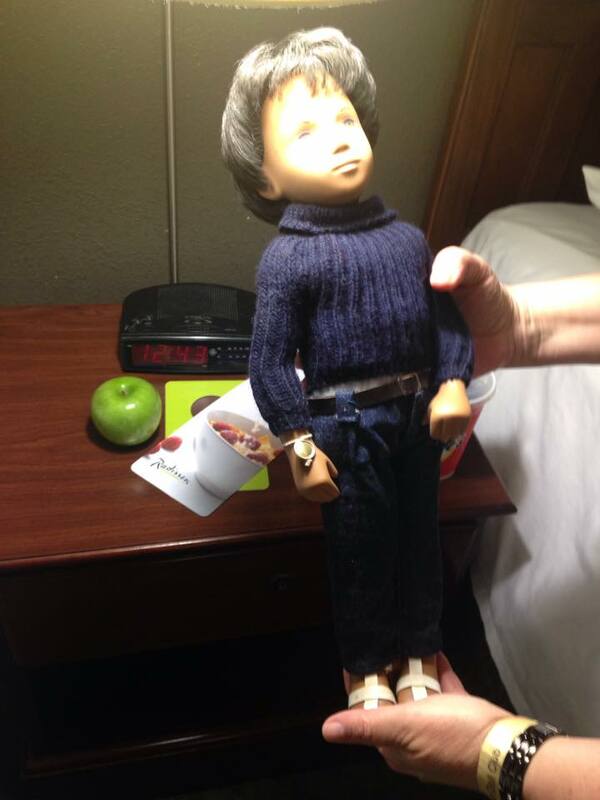 It sounds like a dream trip with good friends too and some lovely finds at the doll show. 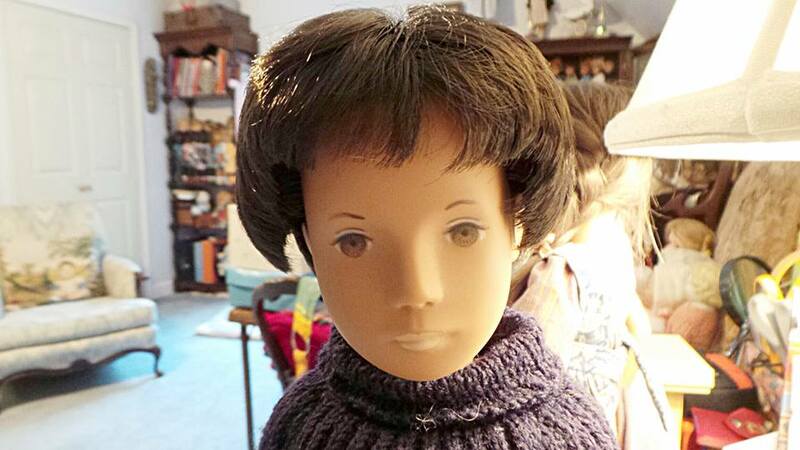 What amazingly unusual eyes on your new boy and the pram is super. In 2008 we had the wonderful experience of the revolving restaurant at the top of the Schildhorn in Switzerland (where they filmed a James Bond movie in 1968) – the view over the mountains (Eiger, Munch and Jungfrau) from the restaurant is completely and utterly breathtaking. You reach it via 3 cable cars – the trip from the Lauterbrunnen valley is amazing too.